Visit any website that features food recipes, do a search on dill and literally hundreds, if not thousands, depending on the website you visit, of recipes will appear for this great tasting herbs. The first one that comes to mind is dill pickles, but sprinkling dill in with some olive oil over top of some potatoes is a quick and tasty dish as well. Here is how you add dill to your home vegetable garden. You can start dill seeds indoors before moving them outdoors; however they do not transplant well. Therefore simply wait until the potential for frost has passed in your area. The best way to plant dill seeds is to sprinkle some in the area where you want them to grow, cover slightly with soil and give them a moderate watering. Dill grows best in soil that is a bit more acidic. A pH range for your soil in the area where you will be growing dill should be in the 5.5 to 6.5 range. If you are unsure of what the pH range of your soil is, purchase a home soil testing kit from any home or garden center. They cost only a couple of dollars. Follow the instructions on the kit to adjust your soil’s pH level to get it in the range noted above. Dill likes full sun and moderate watering and high amounts of nitrogen, phosphorous and potassium, so make sure you keep at least a one inch level of good quality compost at the base of your dill. When the plant gets to the size of your liking it is ready to be harvested. Then simply harvest as you need. Dill also grows best when you simply leave it alone to do its own thing and only bothered when you harvest. So keep that in mind when you weed around your dill plants. Besides being a great herb to add to your food dishes, adding dill to your home vegetable garden also has benefits to your gardening ecosystem. Dill attracts a variety of beneficial insects that go after insects that would normally do harm to your garden. So even if you do not consume dill, you should consider adding it to your garden. If you, like me, follow a crop rotation in your garden, make sure your dill follows your beets and avoid following carrots or plants in the carrot family (such as parsnips). On a side note, dill makes for a good companion to plants in the cabbage family. As you can see dill is easy to grow once you get the basics down. Simply follow the information above and you will be well on your way to growing great dill. A rose by any other name is still a rose, or so the saying goes, but cilantro by any other name could be called Chinese parsley or coriander. A quick search on some popular food recipe websites and in the matter of seconds I was able to find hundreds of recipes. Cilantro can be used three times, well sort of. You can harvest the leaves and add them to do your dish as an herb, or you can harvest the fruit also called coriander seeds which have a lemony-citrus flavor when crushed or you can harvest the roots which have an intense flavor and are most notably used in Asian cuisine. Which ever way you go, there is no doubting that cilantro should be part of your vegetable garden. No need to worry about when to start your seeds indoors because cilantro won`t do well using this method. The reason being is that cilantro does not transplant well, so any growth you would have indoors would more than likely be lost once you moved it to the outdoors. Start your seeds outdoors at least one week beyond the final frost. You can then plant cilantro every 3 weeks up until a week prior to the first frost in the autumn months. This will give you a steady supply of cilantro throughout the year. Cilantro seeds take about 10 days to germinate and grow well in full sun with a moderate watering in soil that has a pH level of at least 6.0 but not higher than 7.0. To test the pH level of your soil, grab a home soil testing kit from your local home or garden center for just a couple of bucks. Once you obtain your reading follow the instructions on the package to raise or lower your soil`s pH level as needed. When the plant is eight inches tall it is ready to be harvested. You want to harvest the entire plant. If you want to use the seeds of the plant simply let it grow until it goes to seed then harvest the entire plant. Once the entire plant is harvested you can use the roots, leaves and seeds (if you let it grow that far) for a variety of dishes. Avoid following carrots if you plan on putting your cilantro in a plant rotation cycle and avoid planting cilantro near fennel as the two plants do not make sure good companions, whereas tomatoes make for a great companion plant. As you can see adding cilantro, Chinese parsley, coriander to your home vegetable garden is easier than you might think. Get some in your garden today. Mike is the author of the book Vegetable Gardening for the Average Person: A Guide to Vegetable Gardening for the Rest of Us, available where gardening books are sold. Sign up for Mike`s vegetable gardening newsletter at his website: AveragePersonGardening.com and he will send you a free pack of vegetable seeds to get your garden started. Two growing seasons ago some of my plants really got hit hard with an outbreak of white flies. Harmless to humans, they can destroy an entire garden and reproduce at an alarming rate in less than a month. Although they did get one of my plants before I had the chance to bring them under control, I did take some steps necessary to make sure that never happened again. One of those steps I took was making this natural insect repellent. Whereas I wanted to get rid of the white flies, I did not want to use some harmful chemical that would get rid of the beneficial insects and organisms in my garden. Here is the formula I used to help me with these insects and many others. 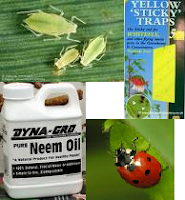 There are a variety of chemical based insect repellents on the market that work very well, but like most chemical repellents they are meant to “kill” not repel and if they are killing what they say they are going to kill then chances are they are probably “killing” everything else in the garden as well. But what you really want is to “repel” the insects so they do not come to your garden at all. A good natural insect repellent starts with garlic and hot pepper. As a caution, depending on the type of hot pepper product you use it could cause irritation to the skin and eyes, so make sure you wear gloves and protective eye wear. Get your ingredients for this natural insect repellent together. You will need five to seven cloves of garlic, one to one and a half tablespoons of a hot pepper powder or extract, cayenne works very well in this recipe, and 3 cups of hot, but not boiling, water. Grind up the garlic in a food processor or blender and then add in the hot pepper extract product that you have used. Finally pour the hot water in and mix it up really good to combine the ingredients. Pour the mixture into a container such as a Tupperware bowl and set it aside for three days (yes three days) to allow the ingredients to steep thoroughly. Once the three days are up, and using a strainer to separate the ingredients from the liquid, pour the liquid into a spray bottle that you will use to spray in the garden. Finally you are ready to use the natural insect repellent. Although you could, it is not necessary to spray the repellent directly on the plants. 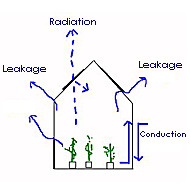 Spray around your plants which create a barrier for them. Reapply after every rain or heavy watering. As you can see it is a very easy recipe to follow and will do wonders for your garden and sanity by repelling those pesky insects that can wreak havoc on your crops. Chives make up the smallest member of the onion family. It is a native plant to Europe, North America and Asia. The name chive is derived from the Latin word cepa which translates into onion. Beyond adding chives to soups, stews and of course on top of sour cream, chives give home vegetable gardeners an incredible tool and that is, chives have insect repelling properties that can control garden pests. As you will see in a moment chives are easy to add to any home vegetable garden, herb garden or simply to grow some in a pot on your window sill all year long. Here is how you can add and grow great tasting chives to your garden. The seeds of chives are fairly small and therefore do not require to be planted very deep in your garden or in the pot that will sit on your window sill. Just lightly cover the seeds with some dirt. Their seeds will germinate in about fourteen days, sometimes sooner depending on the region of the world you live in. Chives like the soil neutral to slightly acidic. Make sure your soil`s pH level is above 6.0 and at or below 7.0. In order to test the pH level of your soil you will need to use a soil testing kit available from any home or garden center for less than a few bucks. Once you obtain the reading, follow the instructions on the test kit instruction package to raise or lower your soil`s pH based on your findings. Chives can grow in either full sun or partial shade and require moderate watering, so make sure you keep the soil moist for your chives. Space your seeds out about eight inches to give your chives plenty of room to grow and spread. If you live in a warmer region of the world you can harvest chives all year round. Simply cut the plants about an inch above the soil. For those in a cooler climate if you wait too long too harvest chives can die in colder temperatures. You can simply just harvest the entire plant when the reach a size that is ready to use. Chives make good companions for carrots and tomatoes whereas they make bad companions for beans and peas. Never precede or follow any member of the onion family with chives in a crop rotation cycle and never allow your chive plants to reach the size where seeds will drop. Your garden could become inundated with chive plants. As you can see it is fairly easy to add this great herb to your backyard, porch or patio garden. Swiss chard is a wonderful addition to any home vegetable garden. With the many varieties there are to grow, you can literally add a wide range of colors and flavors to salads and many other recipes. 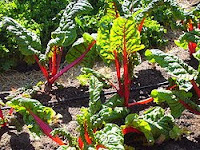 Here is how you can properly grow Swiss chard in your home vegetable garden. I like to start Swiss chard indoors about two weeks prior to last frost of the season. This gives my seeds ample time to germinate. If you plan on starting your seeds outdoors wait at least a week after the final frost of the season. Bury your seeds no deeper than a half inch, with the soil being no cooler than fifty degrees Fahrenheit and no warmer than eighty-five degrees Fahrenheit. Swiss chard likes the soil pH level to be as near neutral as possible. Keep your soil around a pH reading of 7.0 or as close as you can get without going over 7.0. To take a reading of your soil’s pH level you can simply visit your local home or garden center and pick up a basic soil testing kit for just a couple of bucks. Regardless of whether you started the seeds indoors or outdoors, space your Swiss chard out at least eight inches to give them and their roots plenty of room to grow. Your watering of Swiss chard should be moderate and even and they grow best in full sun. You have a couple of options for Swiss chard when they are ready to be harvested. When the leaves get to be eight to ten inches you can simply cut the leaves off and eat them or you can cut the plant off at the stem about an inch above the soil level. The second option will allow the plant to continue to grow giving you more harvests throughout the season. Swiss chard makes a good companion plant for cabbage, legumes and lettuce and bad companions for Swiss chard are beets and spinach. Also avoid following the bad companion plants in a plant rotation cycle. As you can see growing Swiss chard is fairly easy. Just make sure you follow the steps above and you will be well on your way to a wonderful Swiss chard crop. My favorite combination for basil is mixing sliced juicy beefsteak tomatoes with quarter inch thick mozzarella cheese then shredding the fresh basil overtop of the two and finally pouring some extra virgin olive oil on top to bring it all together. The basil really makes the entire dish “pop”. Basil loves to grow in the heat and any cooler temperatures especially frost could reduce your basil to near nothing. 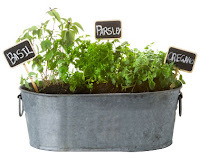 Follow the steps in this article to learn how you can add this great herb, basil, to your home vegetable garden. If you plan on moving your basil plants outdoors as opposed to just growing them in containers or pots on your window sill, I recommend that you start them indoors about 4 weeks prior to last frost of the season in your area. You can either use a portable greenhouse (called a humidity dome in some parts of the world) which is available from any home or garden center for less than $5.00. This will help the germination process for the basil seeds. When the temperature outside is above 75 degrees Fahrenheit then you are ready to move them outdoors. If it gets a little cooler in the evenings don't worry so as long as the temperatures do not fall below 50. If that occurs just cover the plants with plastic milk cartons by cutting the bottom of the cartons off. Space your plants out at least 4 inches in an area that receives full sun. This will give their roots plenty of room to "spread" out and the required amount of sun they need to grow properly. Basil requires light watering and since it needs only low supplements of nitrogen, phosphorous and potassium, chances are no extra fertilization will be required throughout the season so as long as you were adding quality compost to the soil prior to planting. When the leaves become large enough to use, they are ready to be harvested. Using a pair of scissors, cut the leaves off right before you are about to use them to maximize the flavor you will receive. Maximize the space in your garden by planting basil in between your tomato and pepper plants. Basil makes for good companions to these plants. Avoid planting basil between or near beans, cabbage or cucumbers as basil and these plants do not work well together. As you can see it is easy to add some basil to your garden. Once you get some going and are able to add fresh basil to your recipes at anytime, you will wonder why you never tried growing your own sooner. With a quick search on various food recipe sites I was amazed to see the number of different dishes you can create with Rhubarb. Usually rhubarb was always reserved for pies in my household, but you can do so much more with it. I find rhubarb will grow best for you if you can pick up a few starter plants from a local home or garden center. Keep in mind that rhubarb is a perennial (it will return year after year) and loves to spread out fairly quickly, so plan your garden accordingly. Here is how you can add rhubarb to your backyard home vegetable garden. Rhubarb likes soil to be on the more acidic side around the 5.5 to 6.5 range on the pH scale. You can simply test your soil with a home soil testing kit available from any home or garden center for just a couple of bucks. Once you have the reading of your soil follow the instructions on the kit to raise or lower the soil's pH level as needed. Plant the roots of your rhubarb plant in the springtime at least one inch deep and no deeper than three inches in an area of the garden that receives light shade to full sun. A lot of gardeners I talk to like to plant rhubarb on the outer edge of the garden by itself and space them out two to three feet. Once planted, make sure you water it well so the soil where the rhubarb is growing is constantly moist. As the rhubarb grows it will develop flowering shoots. Cut these shoots off as they are not needed. Avoid harvesting rhubarb in the first year and in your second year only take a few so the rhubarb has time to really spread in subsequent years. Starting in year 3 you can really begin to harvest plenty of rhubarb and then every 5 years thin back your rhubarb by removing some of the plants. If it gets too overgrown the rhubarb won't develop properly. Since Rhubarb is a perennial crop there is no need for crop rotation or companion planting. Just make sure you feed your rhubarb with a good supply of compost. It will thank you with tasty rhubarb for years to come. There are over 200 varieties of radishes, although most home vegetable gardeners grow the Crimson giant, champion or the cherry belle. These three varieties look like the small round red radishes most people are accustomed to. Whichever variety you choose to grow, the steps to ensure a great radish harvest are virtually the same. Here is how you can grow great radishes in your home vegetable garden. Radishes are one of those vegetables that are fairly easy to grow. In fact it is not necessary to even start them indoors. Regardless of whether you are growing them in a traditional backyard garden or in pots/containers or raised beds, growing radishes from the seed started outdoors is the best way to go. They can be grown in early spring, after the last frost, or in the autumn before frost sets in and they can germinate in as little as four days in optimal conditions. Do not plant the radish seeds any deeper than 1/2". Radishes like to grow in a soil where the pH level is neutral or as near neutral as possible. You can test your soil's pH level by using a home soil testing kit available from any home or garden center for less than a few bucks. Try to get your soil's pH level above 6.0 and near 7.0 without going over. Most kits come with recommendations as to how to make the adjustments you are looking for. Keep the soil moist. Radishes need a moist cool environment to grow in and if you let the soil dry out, it won't be long before your radishes stop growing. A moderate watering is all they will need. Remember you are trying to keep the soil moist not saturated. Space your radish seeds out two inches to give them room to grow and plant them in an area that receives full sun, although some varieties will tolerate light shade. When the radish tops are about two to four inches above the ground they are ready to be harvested. You do not want to leave radishes in the ground for too long as they could develop a sharp or bitter taste to them. To improve the flavor of your radishes plant them between lettuce. They also make for good companions to beans, beets, carrots, parsnips, peas and spinach and bad companion to fennel. As you can see growing radishes are not all too difficult. Just make sure you plant them when the weather is cool outside, keep the soil moist and harvest them when they are ready to ensure great flavor. An easy fast growing herb to add to your repertoire is garden cress. Garden cress is peppery tangy flavored herb that is easy to add to anyone's home garden. A lot of herbs are grown by themselves in a "herb garden". But it doesn't have to be this way. Garden Cress makes a great companion plant to bush beans, beets, carrots, lettuce and spinach to name a few. So keep that in mind when planting. The seeds of garden cress are small, so when you plant them a light covering of dirt is all they will need. Garden Cress seeds will germinate in as soon as 2 days and as far out as 6, so as you can see they grow quickly. Garden cress likes the soil's neutral pH to be as close to neutral (7.0) as possible. Test your soil with a home testing kit, available from any garden or home center for just a couple of dollars. Follow the instructions that come with the kit to raise or lower your soil's pH level as needed. Garden Cress likes full sun so pick a spot that receives the most sunlight and if you have an indoor herb garden, make sure you pick a window sill that receives sunlight first thing in the morning. As for watering, garden cress does not need much. Just keep the soil moist with moderate watering and you will be ok.
Mike is the author of the book Vegetable Gardening for the Average Person: A Guide to Vegetable Gardening for the Rest of Us, available where gardening books are sold. Sign up for Mike’s vegetable gardening newsletter at his website: AveragePersonGardening.com and he will send you a free pack of vegetable seeds to get your garden started. No not the yellow stuff you put on hot dogs at your backyard barbecue, I am talking about the green plant that adds some spice to your salads and other dishes. If you like spice with your food then add some mustard to the garden. You will be surprised as to how easy it is to grow. Here is how you can grow this cool weather plant right in your own backyard home vegetable garden. It is easier to grow mustard if you start your seeds indoors. Start your seeds about two to three weeks prior to the last frost. It is best to use a portable greenhouse or humidity dome as that will speed up germination to less than six days. Your mustard will grow best if the pH level of your soil is between 5.5 and 7.0. You can easily obtain the pH level of your soil by using a soil testing kit available from any home or garden center for less than a few bucks. When you move your mustard plants outside, make sure they are in a spot that receives full sun throughout the day and especially sun first thing in the morning. Moderate watering is all mustard will need in order to grow and thrive. Do not over water as that could cause decay in the root system, or even worse, mildew to build up on the leaves. When the leaves of the plants are about three to four inches they are ready to be harvested. When they reach this size you can clip off individual leaves and let the plant grow. If you let them go to six to eight inches then you can harvest the entire plant. The choice is yours, one of the beauties of home vegetable gardening. Good companion plants include: bush beans, carrots, celery, cucumber, onions, and potatoes, where as you should avoid following cabbage in a rotation. Pole beans and strawberries make terrible companion plants. As you can see mustard is not all too difficult to grow. Just make sure you plant your mustard when the temperatures are cooler outside. Early to mid spring and early to late autumn should do. Imagine for a moment you are brewing your favorite cup of tea. You boil some water on stove, place your tea bag in a cup that can hold hot liquids, and when the water reaches a hot temperature to your liking you pour the water into the tea bag filled cup. You either walk away from the cup to let the tea bag do its thing or you stand there and steep the cup of hot brew to obtain the flavor that you so desire. Brewing compost tea is basically the same way except you don’t use hot liquid and instead of a tea bag you use compost and although this wonderful elixir is great for trees, plants and shrubs, if you drank it, you would get extremely sick. But other than that they are similar (notice the sarcasm). There are many recipes available to brew various kinds of compost tea, and all are very good. The most important thing is starting with good compost. Your compost should have an “earthy” smell to it. If it smells foul then it contains too much anaerobic bacteria and that could invariably do more harm than good to your vegetable plants. Here is why you want to use compost tea in your home vegetable garden. It doesn’t matter if you have a ½ acre plot of land for your garden or everything you plant is in containers, compost tea works for every style of garden. Compost tea is the result of steeping compost in water. The resulting tea is then spray on plants and it helps prevent diseases and stimulates plant growth. It does this because the tea contains microbes which aid in eliminating bad bacteria and fungus that may attack your plants. These same microbes are also absorbed by the plants as well as other creatures in the underlying soil to improve the plant and soil conditions. Just like your own cup of tea when you add hot water to the tea bag it releases the flavors and color of the tea that you are looking for. Instead of using hot water, if you are looking to increase the number of microbes in your compost tea you simply aerate the compost water mixture with a simple aquarium pump and add a teaspoon of molasses to give the bacteria something to eat while they reproduce at a tremendous rate. In some studies, according to findings on the USDA website, compost tea has shown to improve root development of many varieties of vegetable plants grown in the home vegetable garden, along with tastier fruits and larger harvests. There is no question that compost tea, when brewed properly, can yield tremendous results for a home vegetable gardener’s harvest. If you have not added compost tea to your repertoire of home vegetable gardening “tactics”, you should definitely do so as soon as possible. Here are some tips and advice you can use if you are trying to grow your own garlic at home. It is easier then you think, and as we all know, garlic adds great flavor to a lot of foods. I was watching a rerun of an episode of the television show, Friends the other night and in the episode Phoebe accuses Monica of using way too much garlic when she cooks food at her restaurant. That led me to thinking is too much garlic a bad thing? Me personally, I don’t think so. Beyond warding away vampires in horror films, garlic is a great addition to a lot of wonderful recipes you can prepare right at home. To make those recipes even better you can user garlic grown right in your own backyard. Garlic is a tricky vegetable but not a complicated one to grow. If you give it the right environment you can harvest plenty to last you for months. For instance, garlic loves a soil rich in organic matter such as compost. So whatever area you choose to grow your garlic make sure you mix in plenty of compost. Burying your food leftovers at least eighteen inches deep in that same spot helps as well. Garlic germinates at a cooler temperature. It likes the soil to be around fifty-five degrees Fahrenheit (thirteen Celsius). Once garlic germinates in the cooler soil, you can grow it in soil that gets a bit warmer but if you can keep it cool you will be better off. Even though garlic itself can be a bit spicy, the soil it needs is anything but. Garlic loves the soil pH level to be above 6.0 and as near 7.0 as you can possibly get. The best way to test your soil’s pH level is use a home soil testing kit available from any home or garden center for less than five bucks. Under 7 and your soil is acidic. Over 7 and your soil is alkaline. Make adjustments to your soil as per the instructions on the kit. Garlic loves full sun and light watering. Pick a spot in your garden that receives sun first thing in the morning and of course throughout the day. Also this same spot should have good drainage as garlic likes it moist but not saturated. Saturating the soil could cause the garlic cloves to rot. If you mix in plenty of compost you shouldn’t have much of a problem. When the bottom two or three leaves turn yellow it is time to harvest the garlic. This usually occurs late summer or early autumn. On a side note planting garlic in between beets is a great way to keep the soil cool for your garlic. Now you have no excuses for not adding garlic to your home vegetable garden. It doesn’t matter if you have a ½ acre farm or grow vegetables in containers. You can grow garlic at home during your gardening season. Now more than ever people are gravitating toward growing their own food and for reasons that aren’t as obvious as you might think. In this article we talk about some of the reasons why. I began vegetable gardening at a very young age many many years ago thanks to my dad. He showed me everything I needed to know and I instantly loved it. Sure it was hard work (still is), but vegetable gardening is one of those hobbies where your hard work pays off in the form of something you can eat. In my dad’s garden it was always about radishes, tomatoes and corn, and today in my own garden, the tomatoes still reign king followed by squash and peppers. More and more people today are growing their own vegetables then every before. In fact the National Gardening Association, a non profit group based out of South Burlington, VT estimates that 48 million people grew a vegetable garden this past year, an increase of almost twelve percent from the previous year. What may take you by surprise are the reasons as to why many are growing their own food. Off the top of your head you would think it would be the economy, but only 34% of people cited the slowing economy as the reason why. Ranking tops on the list for reasons why people grow their own food was, for better taste. Fact is when you control what you grow, you also can decide when to harvest, and so on. That directly correlates to the taste of the food. Pick it too soon and it could be bland. Pick it too late and it could be bitter. You get the point. Next on the list was people wanted to save money on their food bills. According to the USDA a single pack of vegetable seeds can produce well over $200 in vegetables compared to prices paid at your local grocery store. Throw in many varieties of vegetables and food saving techniques such as canning and you can literally wipe out any need to buy vegetables from your grocery store ever again. On that same list, and rising quickly, is the ability to know that the food you are eating is safe. How many times have you turned on the news, read on your favorite internet news website or heard on the radio of an e. coli bacteria outbreak, or food recall. When you grow your own food, you know what you are putting in the ground, therefore controlling the environment in which the vegetables grow, making your food safer. Maybe your reasons for growing your own vegetables differ from these, but whatever the reasons are, there is no mistaking the financial and nutritional value you get from home vegetable gardening. The best thing for your soil is compost. It contains all the nutrients your plants will need to grow and thrive. Here is how you can easily create your own and add good quality compost to your soil all year round. Compost is the process of organic material breaking down into a rich dark black soil through the process of aerobic decomposition. Bacteria and other microorganisms feed on this organic material which breaks it down. Then as you move up the food chain other creatures such as the earthworm and nematodes, either eat the bacteria or the decomposed material creating even better compost. The underlying environment is so advanced that it can take your left over food scraps, grass clippings, twigs and leaves and turn them into every nutrient your vegetable plants will ever need. The best part of this ecosystem is that it is already there and the only thing you need to do is supply it with an organic food source (more on that in a moment). The most common form of composting is a compost pile. This is where you keep a pile of organic material such as leaves, twigs and grass clippings (to name a few). As the bacteria and microorganisms breakdown the material the center of the pile starts to heat up. When the temperature reaches a level that will make it harmful to good bacteria (usually around 150degrees) you then turn the pile over to bring fresh material to the center and the process starts over. You continue this until all of the material is broken down into a dark rich looking soil. From there you can mix it right in with your soil, brew compost tea, or add more organic material and keep the process going until you have the amount of compost you need. An excellent second way to create compost is through creating vermicompost. Vermicompost, also called worm castings, is when earthworms eat organic material and their waste is what is leftover, creating the best compost your soil could have. The best organic materials you can feed to earthworms are your food scraps and leftovers. I find it easiest to simply dig a hole in my garden about eighteen inches deep and dump the food scraps into the hole, then cover the hole with dirt. The worms and the underlying ecosystem take care of the rest. Of course this method makes it impossible to use the vermicompost to brew compost tea and if that is what you are looking for then your best bet is to maintain a vermicompost bin also known as a worm box or worm farm. You can make one yourself for fewer than fifteen bucks with a couple of Rubbermaid containers or you can buy one from your local home or garden center. You simply add in food scraps, a little soil and of course worms. Then when the food scraps have all been ingested by the worms you remove the vermicompost, brew your tea, and add it to your soil or whatever your heart desires. You can repeat this process all year round, unless of course you run out of food scraps. As you can see it is fairly easy to make your own compost. If you are willing to put in the time and effort, you can add nutrients to your soil that will yield better harvests for your fruits and vegetables. Kohlrabi is cousin to cabbage and broccoli. The best time to grow this great tasting vegetable is in the cooler months in the autumn following plants that can only grow when the temperatures are hot. Here is how you can successfully grow kohlrabi in your home vegetable garden. It is not recommended that you sow your kohlrabi seeds indoors due to the fact they germinate better in cooler temperatures that are more than likely readily available outdoors during the autumn months. Therefore sow your seeds in your garden no deeper than 1/2" and space them out at least eight inches. For an optimal growing environment make sure you test the pH level of your soil. Kohlrabi likes the soil to be neutral or as close to neutral as you can get. 6.0 - 7.0 would be ideal. For an optimal growing environment make sure you test the pH level of your soil. Kohlrabi likes the soil to be neutral or as close to neutral as you can get. 6.0 - 7.0 would be ideal. You can pick up a soil testing kit from Home Depot or Lowes or any garden center for just a few bucks. Kohlrabi yields best in full sun but there are genetically engineered seeds that can tolerate light shade knowing the days in the autumn months, in regards to sunlight, are shorter. So make sure you plant the seeds where your garden receives ample amounts of sunlight. Even watering is all you will need for kohlrabi. Keep the soil moist by moderate watering every couple of days. 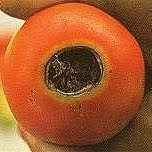 Do not saturate as that could cause root rot. When the stems are about two inches in diameter you can begin to harvest. Simply pull the entire plant and trim off the leaves and the roots. Kohlrabi will store for well over a month in your refrigerator, so if you harvest the plant and can not get to eating it right away, do not worry, you have plenty of time. As you can see kohlrabi is not that difficult to grow and harvest. Follow these simple few steps and you will be well on your way to adding a great tasting vegetable to your dinner table compliments of your backyard home vegetable garden. 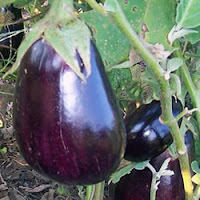 The most popular variety of eggplant that people will recognize immediately is the black beauty. It is that dark purple colored eggplant that is about ten to twelve inches long and an oblong shape. However there are more than a dozen varieties available. Eggplants like it warm. In fact they like the ground to be hot. This does not mean if the ground is a bit cooler they won’t grow. What it means is to have your eggplants excel in growth and produce faster the temperature of the soil should be around eighty-five degrees Fahrenheit (twenty-nine Celsius). The best way to keep that temperature up there is by placing grass clippings around the base of the plant. When the grass clippings begin to decompose heat is generated and that heat transfers to the soil giving your eggplant the optimal growing temperature. Because eggplants like it warm, I recommend that you start your seeds indoors. You can buy a portable mini greenhouse for less than five bucks at home and garden centers. Place them on your window sill where the sun hits first thing in the morning and in a few days your eggplant seeds will have germinated. Once there is no fear of frost outdoors and your eggplants are at least three inches tall you can them move them to the outdoors. Once you have planted them in the ground, keep in mind that eggplants require lots of water and full sun. Without one, the other or both, it will take longer for them to produce their fruit, if at all. So make sure you pick a spot in the garden that receives sun all day and give them a heavy watering every couple of days or so. For you advanced gardeners or those of you that want to take your vegetable gardening to a whole new level, planting beans, peas, peppers and/or potatoes alongside your eggplant all make for great companions to the eggplant. Although companion planting goes beyond the scope of this article, it is the process of planting different vegetables together in the same area because they compliment each other for a number of reasons. You can learn more about companion planting at our website. Another advanced technique is monitoring the pH level of your soil. Soil test kits are available at your home or garden center for a couple of dollars and you can obtain this reading in just a few minutes. Eggplants like the soil to be a bit more acidic. Optimally the soil pH level should be in the 5.5 to 7.0 range for best results. Again, you can find more information about pH levels at our website. Eggplant is best harvested when it reaches maturity, which is about ten to twelve inches in length for most varieties. Letting it go longer could result in flavor loss and too soon makes for a less tasty and harder fruit. When picking the eggplant I recommend that you use shears or garden scissors and cut the eggplant from the plant at the stem leaving half of the stem connected to the plant and half connected to the fruit. Regardless of which species of eggplant you grow, the growing techniques for all varieties of eggplant are virtually the same. How you prepare them once you harvest them, well, I will leave that up to you. If you are like me then you already enjoy home vegetable gardening. For me it is relaxing, educational, a good source for decent exercise but most of all rewarding. I am not talking financially rewarding, but rewarding in a sense of, at the end of a growing season I have something to show for all my efforts and that is plenty of fruits and vegetables. But what if you want to take your home vegetable garden to the next level and say use it as a tool to earn some extra income. Maybe you just want to earn enough to pay for the seeds you buy, the water you use and the fertilizer you need to make everything grow. It is possible, but just like anything else in life it takes work. So before you get started the first thing I recommend is make sure you are having fun with it. Don’t just do it because it makes you money, you can get any type of second job for that. Do it because you love it, brings a smile to the face and makes you happy. When this happens the money will follow. The first way you can earn some extra cash is your own roadside stand or a stand at your local community flea market. When you harvest your vegetables you can set yourself up a little stand and sell it by the weight, quantity or whatever is easier for you. To get an idea of what you can charge for your vegetables, take a ride to your local grocer and see what they charge and make it comparable. If your harvest looks good and healthy, and priced right, you should have no problem making some sales. 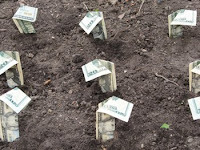 A second way to earn some extra cash at your local flea market is to sell plants after they have germinated. It is a way for you to supply other home vegetable gardeners. If you have the space to germinate seeds indoors during the cooler months, transfer them once they have sprouted to pots, then you have everything you need to make a dollar or two per plant. Of course the larger the plants the more you can charge, but I will say there is a cut off for price and size. A dollar or two for a three to six inch plant is ideal and tomato plants do the best. Who knows how to grow plants better in your area then you right? Well put that knowledge to the test and host a one day home vegetable gardening clinic for say five to ten bucks. You can go over which plants you grow, your success stories and so on, passing along your knowledge to others. The downfall is you will need a place to host it. Now I know our local library will let you use their rooms for a small fee as will the local schools, so start there first. As you can see none of these methods mentioned above are out of the ordinary or crazy ideas. They are straightforward ways to utilize the skill set that you already have with home vegetable gardening and using that skill set to make you a few extra bucks.